Is it weird that I *still* get excited about what sort of fun surprises the mail will bring each day? Usually it's bills and coupons, but occasionally it's something fun like a pretty invitation or something I ordered and forgot about. I've been thinking of subscribing to a couple of the many online monthly subscription services so I am guaranteed at least one cool package in my mailbox per month, so I though I'd share a roundup of some of the cooler options I've found. Do any of you already subscribe to any of these? Do you enjoy it? Do you know of one I should know about? If so, please share! 1. 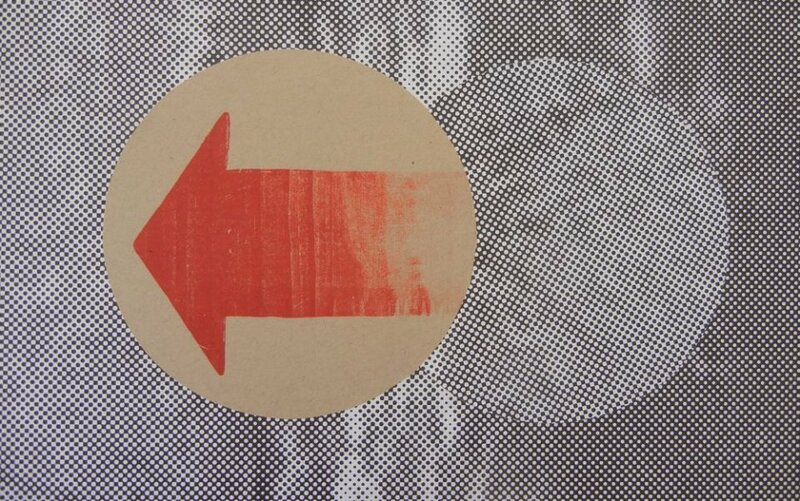 Art in a Box: This is an art subscription service featuring Bay Area artists. 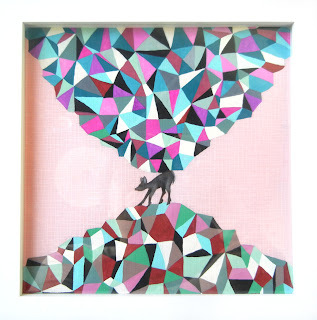 Operating on the model of a CSA (Community Supported Agriculture) or wine subscription service, Art in a Box offers amazing original works of art instead of vegetables or wine. Subscribers can choose how often to receive boxes (every month, every other month, quarterly, etc.) Subscribers receive a new work of fine art by a different local artist in each box. Our featured artists work in a variety of mediums (ceramic, printmaking, painting, collage, digital prints, etc.) and most of them live and work in Oakland or San Francisco. $40 for local pick up in SF, or $50 a month nation-wide. 2. Papirmasse: (Not shown) This is another monthly art susbscription, and is more afforable at $10 a month. You get a print ranging from 4x6 to 18x24 each month. 3. Julep Maven: This is a monthly subscription that focuses on nail polishes, although your box can also include mani & pedi products, lip glosses and balms. 4. Babbabox: This is awesome if you have kids! 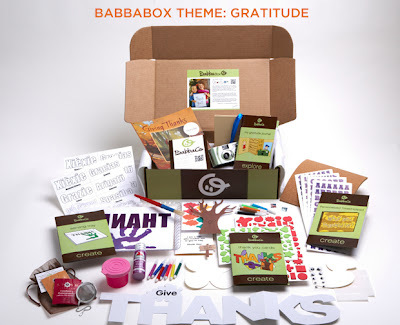 Once you sign up, a BabbaBox full of activities arrives every month (starting the following month after membership purchase); get excited to create, explore, story tell, connect and learn together. You'll also get access to fun digital downloads. 5. 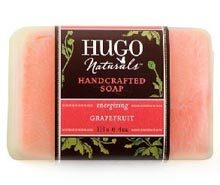 Eco-Emi: This site features some great eco-friendly, organic brands, like Hugo Natural, Pangaea Organics and Mighty Leaf. For $15, you will receive a box of 5 products, ranging from beauty products to food, each month, wrapped in earth-friendly packaging. 6. 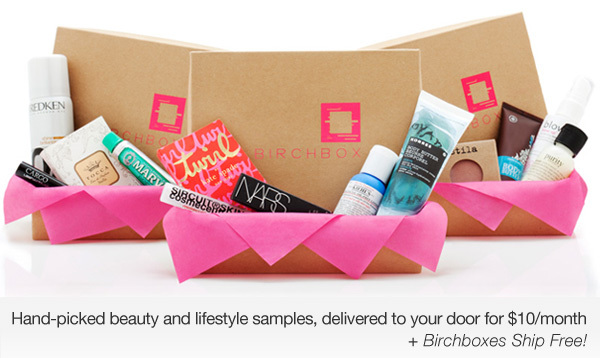 Birchbox: For $10 a month, you'll receive a delivery of high-end beauty and lifestyle samples. There's an option for men, too! Here are a few more to check out: For food products, Foodzie.com (19.99 for food products each month) or Blissmo.com ($19, organic, non-toxic, eco-products. For style: Stylemint, $29.99 a month. Handmade: Fair Ivy will send you a unique hand-made surprise gift in your price range. Vegan, natural, gluten-free: Healthysurprise.com, several tiers starting at $33 per month for a generous box of snacks. Monthlygifter.com features a slew of subscription services for you to pick and choose from. Thank you so much for this post. I want to let you know that I posted a link to your blog in CBH Digital Scrapbooking Freebies (please, notice the new url for my blog), under the Page 3 post on Jun. 30, 2012. Thanks again.